Pinehurst. 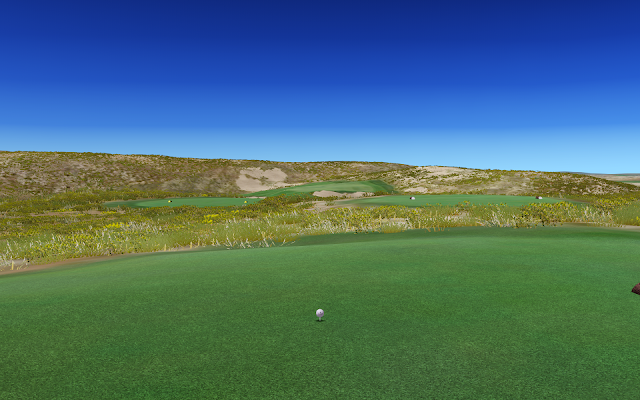 Ballyneal. Cabot Links. St. Andrews. A trip of a lifetime for a worthy cause. Welcome to Husker Dunes Golf Club, my foray into fake golf course design. Can you guess how I fared on this U.S. Open test? 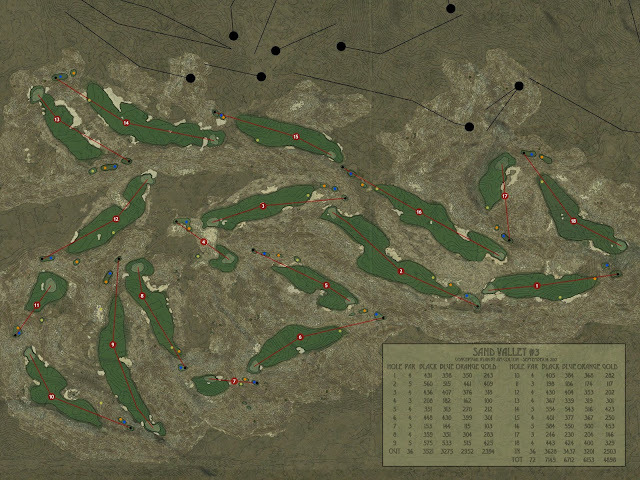 Welcome to Adams County Dunes, my proposed routing for the third course at Sand Valley. I've posted some earlier iterations of the routing on this blog in the past, and over the last year have continued to hone it. I've spent quite a few days walking the property and getting a feel for the land. I truly believe the land at Sand Valley, particularly in this corner south of the original Coore & Crenshaw course has the potential to yield one of the great golf courses in the country. 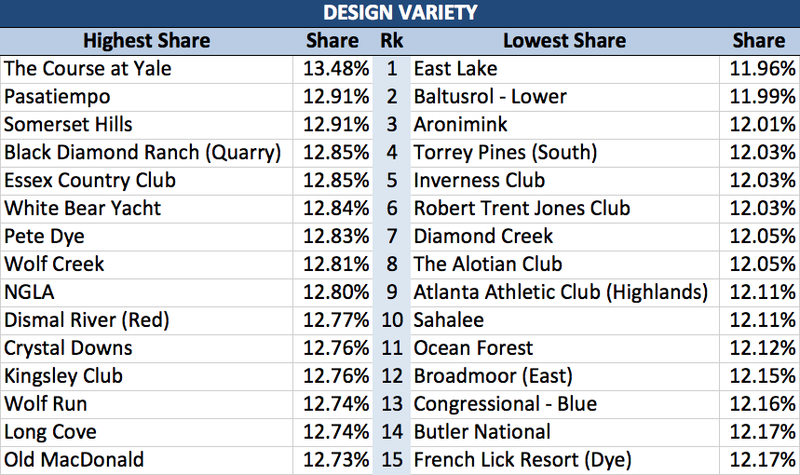 I don't honestly think I'll get picked to build the course, but hopefully this helps you see the potential for the site and raise the bar for whomever does get picked. 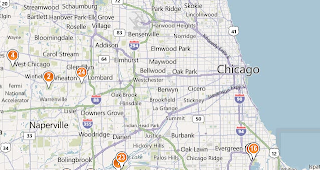 Attached below is the routing map and some early visualization shots. I'll add more holes and fly-by's as we go along. 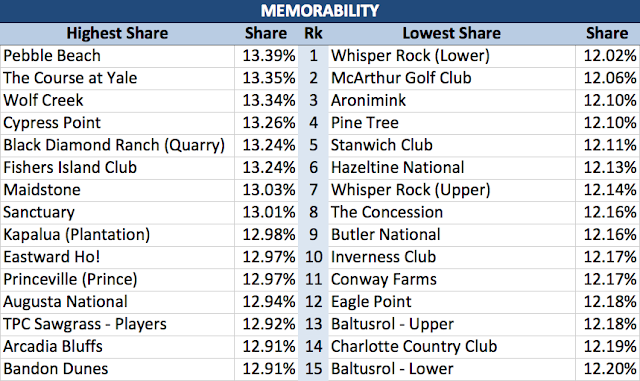 One last post on the latest Golf Digest top 100/200 rankings. 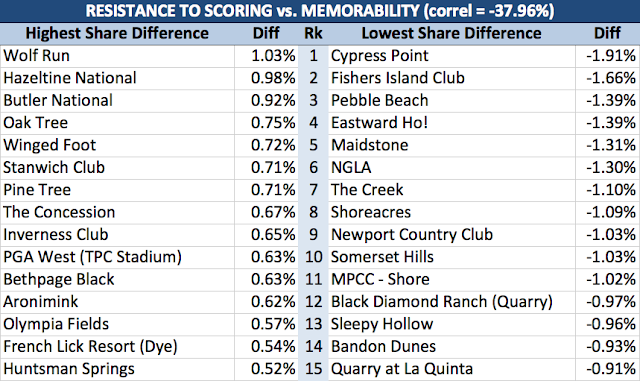 In the past, I've looked at each category's contribution to a given course's total score as an psuedo-look at its DNA. With seven different categories, there are different ways to make the list. 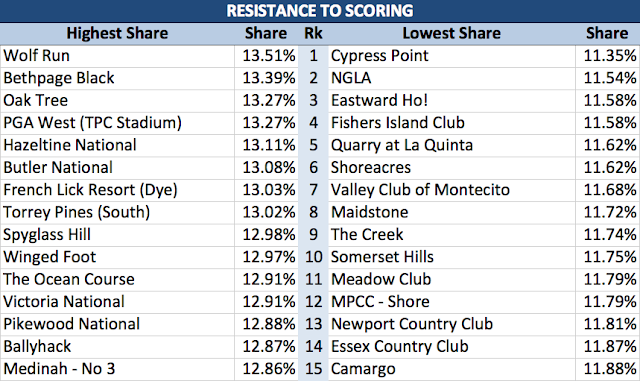 Some get by on Shot Values; others on Resistance to Scoring or Conditioning. Some are consistently strong across all categories (Colorado Golf Club's DNA is the closest to Golf Digest's formula). The first set of images looks at the highest and lowest relative scores (category score / total score) for each of the seven category. 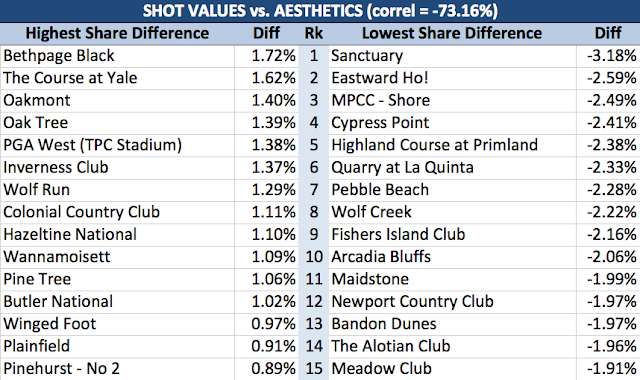 Then the next set of images look at the difference between category shares for some of the categories with the least amount of correlation. Assessing which set of 15 courses you'd prefer to play provides an indication of how your personal category weights might differ from Golf Digest's. Seeing courses pop up that you like might lead you to find other courses that fit your personal tastes. 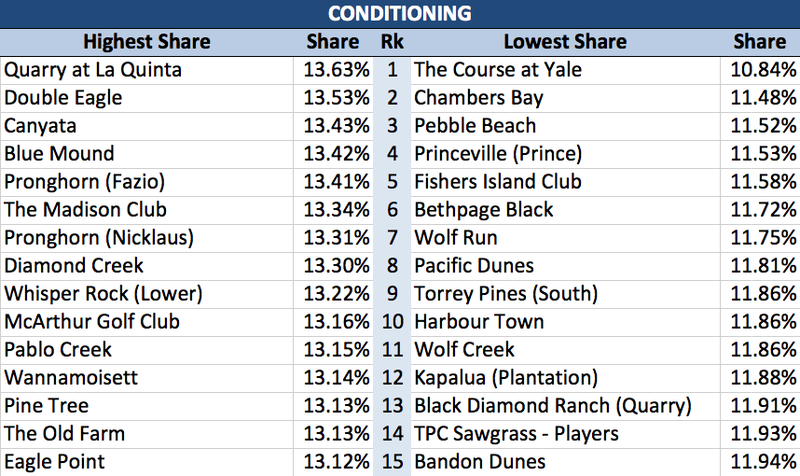 Golf Digest 2017-18 Rankings - Food for Thought: What if they just ranked courses by Shot Values? 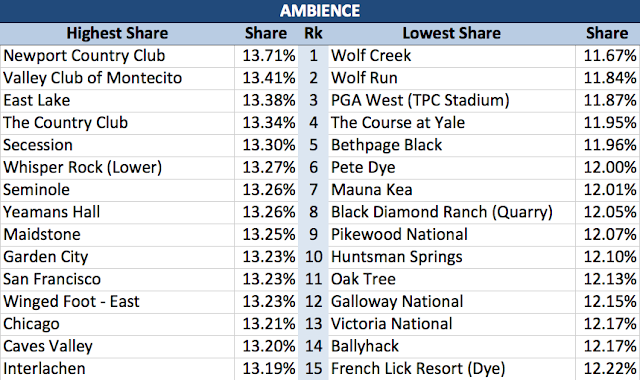 Golf Digest published its latest list of "America's 100 Greatest Golf Courses". There wasn't a lot of movement in the rankings from last time, but Pine Valley muscled its way back into the top spot ahead of Augusta National. 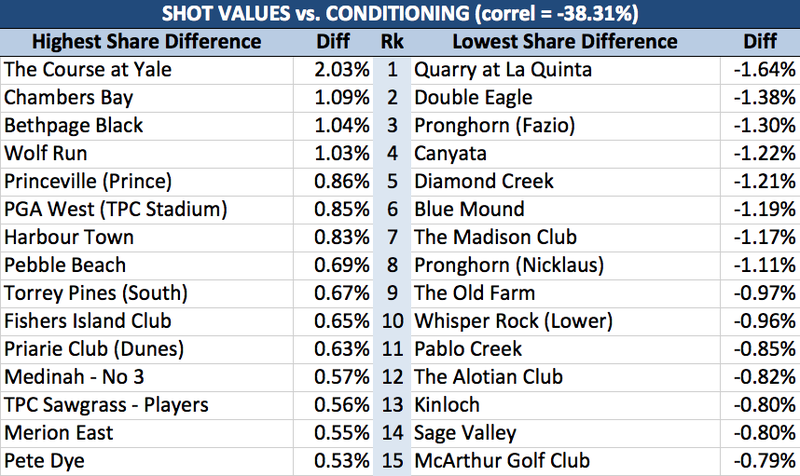 Shot Values is defined as "How well do the holes pose a variety of risks and rewards and equally test length, accuracy and finesse?". As noted, it's worth twice as much as the other categories so is obviously viewed as the most important characteristic. But what if it were the only category for ranking golf courses? 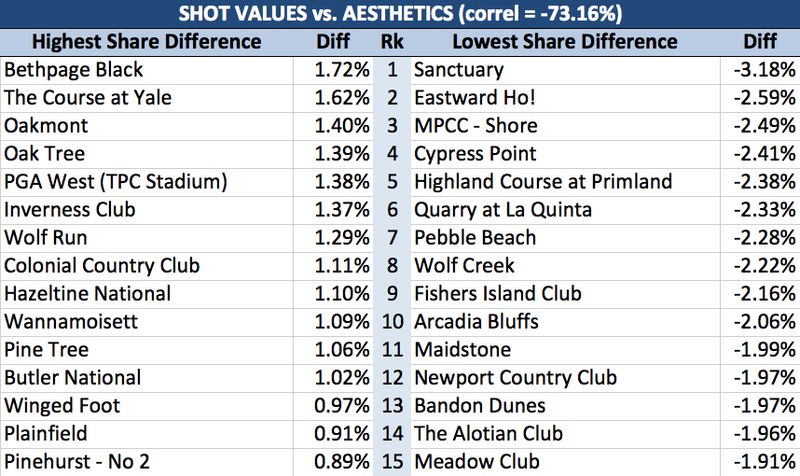 Could Shot Values alone produce a better list, in your opinion? Since Shot Values is difficult to define and even more difficult to quantify, might it be akin to a raters overall view of the course quality anyways (the correlation between Shot Values and all of the other categories combined is 93.5%)? 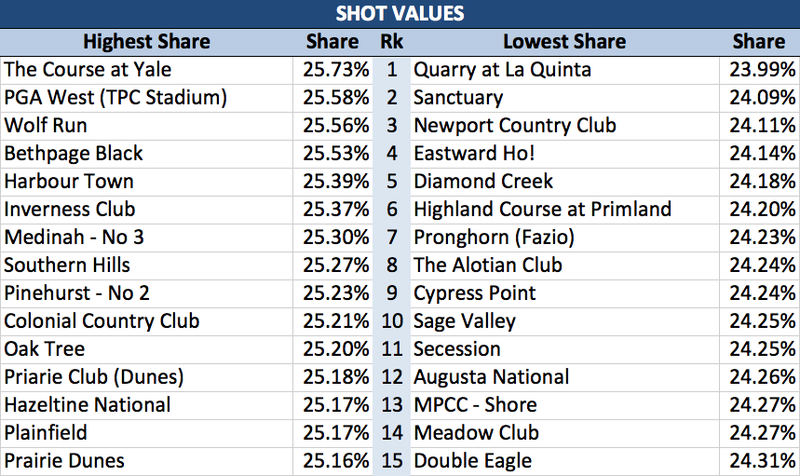 The list below shows that a Shot Values only approach would bring Hazeltine National, Harbour Town, Pasatiempo, Streamsong Red, Chambers Bay, Galloway National, The Course at Yale (up from 177 to 90! 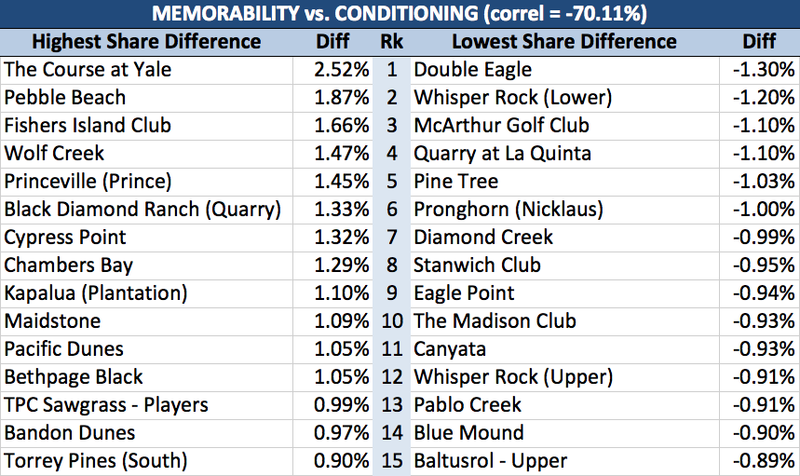 ), Colorado Golf Club, Cal Club and Shoal Creek into the top 100 at the expense of Monterey Peninsula Shore, Laurel Valley, Flint Hills National, Hudson National, The Course at Black Rock, The Preserve, Double Eagle, Mayacama, Diamond Creek and The Quarry at La Quinta (down from 83 to 144). It's not perfect, but it seems to be heading in the right direction. Perhaps Design Variety and Memorability or Ambience need to play a small role as well. 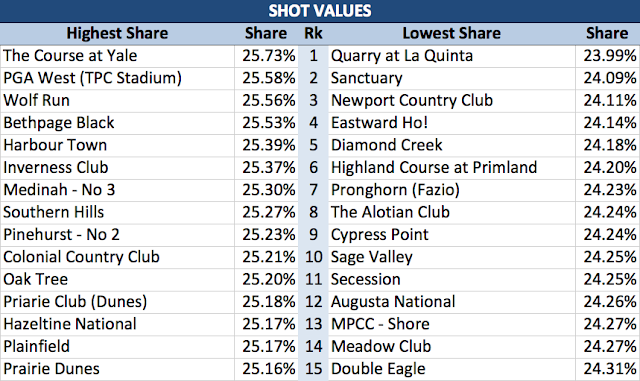 But here's the Shot Value-only list as food for thought. More to come as we dig deeper into the numbers. Update: this Google Sheets tool allows you to set your own category weights and produce a customized top 100/200 list. Two weeks ago, I did something I swore I would never do again: complete two Hundred Hole Hikes in four days. In 2013, I had the crazy idea of doing four hikes in 3 1/2 weeks, with the last two being on a Monday (in Canada) and Thursday (in Scotland). Since then, my left ankle is hanging on by a very thin thread. But this year the opportunity presented itself to do another two hikes, on the same Monday/Thursday timeline, and it proved to be too good to pass up. 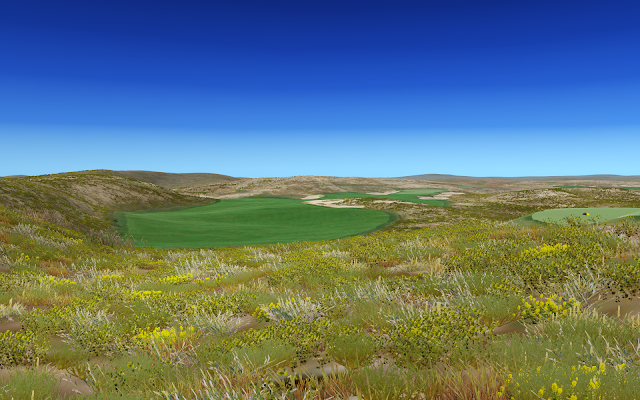 On June 20th, I did my traditional hike at Ballyneal with some fellow members and good friend Brandon Urban. Then on June 23rd, I ventured up to northern Michigan to do a hike at Forest Dunes, along with architect Tom Doak, Matt Ginella from Golf Channel and Ashley Mayo from Golf Channel. Last year, I had the chance to tour and play some holes in the dirt up at The Loop at Forest Dunes in Roscommon, MI, Doak's latest creation and unique in the golf world that it is the world's first and only fully operating reversible golf course. Given the lay of the land and uniqueness of the concept, I casually mentioned to Tom that day, "This would be a great course to do a Hundred Hole Hike". He immediately responded, "I would be up for that". And the wheels were officially in motion for the Hundred Hole Hike at Forest Dunes this year. It's worth noting that the week of these hikes corresponded to the 5th year anniversary of the original Ben Cox marathon, the main thing that started it all. It's been amazing to see the growth of the hike over that time period, now with over $2.5 million raised for nearly 200 different charitable causes. My initial theory when I started the event was that there had to be other golfers out there, like me, crazy enough to try something like this and armed with the willingness and ability to do it for causes that were close to them. It turns out that hunch was right, at least for a few hundred lunatics out there (though I suspect there are more that just haven't been found yet). 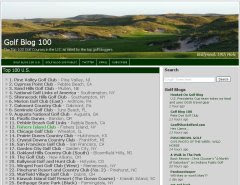 Although this was my sixth golf marathon event at Ballyneal (and I've caddied for two others), each one is uniquely different and stands out for various reasons. 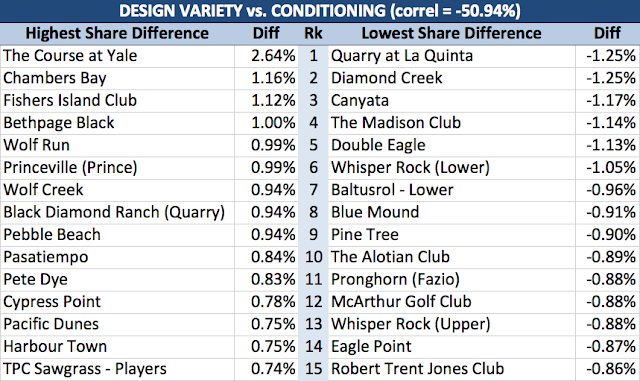 A lot of these reasons have to do with the weather, which can vary wildly in NE Colorado. One of our hikers, John Penny, recently got married at Ballyneal and his best man Michael reminded wedding-goers of when he caddied for John in the 2012 hike when it was 108 degrees (and windy and humid). One of the lasting images of that hike is immortalized on the Hundred Hole Hike website, bottom row fourth from the left below, with John completely spent and contemplating whether he could continue (he did). 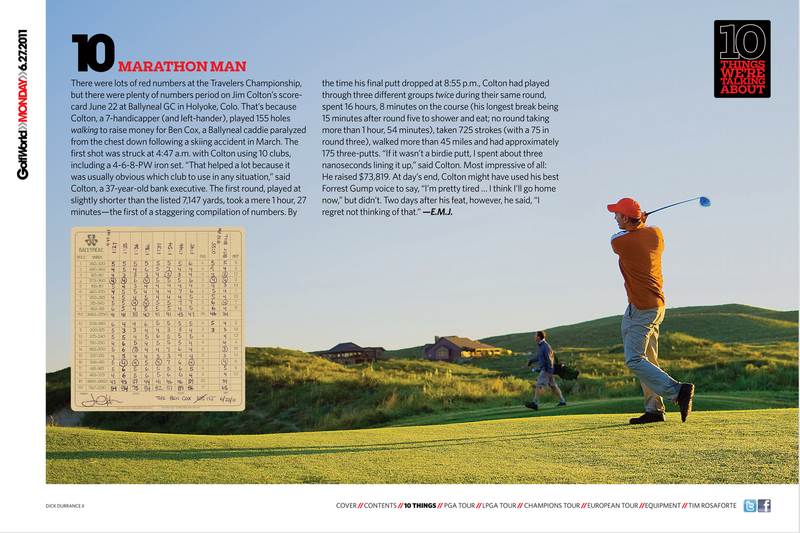 Once again, I was armed with two caddies at all times, in a well-honed system that has helped me tremendously since the first marathon. Even better, there were some familiar faces along the way, such as Chris, who caddied three loops for me last year. And later there was the brother and sister combo of Tristan and Brenna, who I later determined were the younger siblings of my friend and former caddie Cierra. I was fortunate to have a lot of basketball fans on my "bag" (in spirit only, as there were eight clubs with no bag, split between the two caddies), so the Cavs Game 7 victory/Warriors epic Game 7 meltdown and the upcoming NBA draft was a continual topic of conversation and easy distraction to the grind of walking and playing 150+ holes in a day. I wished I could say I played some of my best golf. I wish I could say that I made 20 birdies and an eagle. I wish I could say I played some of my fastest rounds ever. But none one of those statements were true. But it still good enough. Like Dory, I just kept swimming. Just kept swimming. All my rounds were in the 80s. I made eight birdies overall. And the pace was in the 1:25-1:30 range with very small breaks in between rounds. I like to say, "Like they always say, the fifth and sixth rounds of the day are always the toughest." That's usually when one hits the grind during the hike, when mentally you started to count down the number of holes left, focus on how much daylight is left and how much your feet hurt, and that's pretty much all you can think about. For whatever reason, I never hit the proverbial wall this year at Ballyneal. I was making great time, and 155 was well within reach, with time to spare. When pledging my support to Brandon, I half-jokingly commented, "See you for Round 9". During last year's hike, I shamed/jedi-mind tricked Brandon to continue on an extra round during the twilight hours well after he had decided to quit after 126 holes. It worked last year, but I didn't really think he'd my round 9 suggestion seriously. That was until I finished my 8th round, got up to the clubhouse and saw Brandon marching down the 10th fairway on his 145th hole. Brandon started the day on the back nine and I hadn't seen him all day until that point, so I knew he was on a good pace. But when I saw him marching down the fairway, I realized that he was actually a half-hole ahead of my pace! I quickly switched gears and decided to start round 9 on the back. Then I tried to catch up to Brandon, and it wasn't until the 13th hole when I could finally get close enough to get his attention. The guy was an animal (a point that will become even clearer later on in this blog). Brenna was on his bag at this point and we zipped around the back nine and then headed back to the front. My M.O. 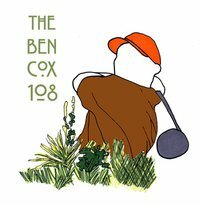 has been to stop at 155 holes in deference to the original Ben Cox marathon. 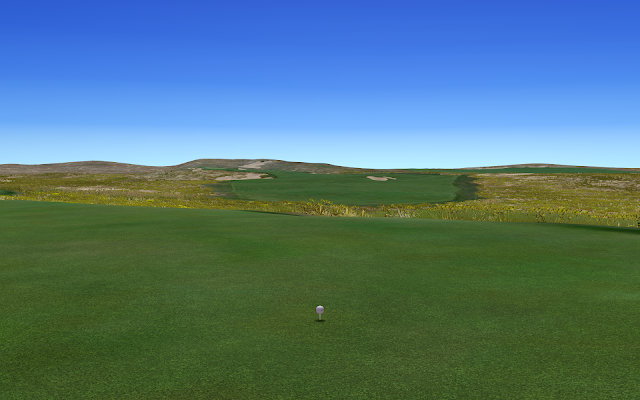 But finishing on the 2nd hole, didn't seem like a great idea. And more importantly, the course was just glowing on a perfect summer afternoon. I don't care if it's your 157th or your 7th hole of the day, if you're anything like me, there's no way that you'd see a view of a golf course like this and not keep playing. The golden hour was in full effect. At one point, we broached the subject of possibility stretching it to 171 holes, matching the hike record held by our good friend Rob Rigg. But at the bottom of the 4th fairway (okay, rough), I started to feel a little woozy and light headed, to the point that I had to sit for 10 minutes or so at the 6th tee box. At that point, 162 holes seemed like a perfect good and reasonable number. 9 rounds in one day. Walking. Not a bad day's work. We realized that there was no way the two of us could flash the traditional post-hike digits, so my caddie Oscar (who went the last four rounds) got the much-deserved '1' in the picture below. After six years of 100+ hole golf marathons, I always tend to judge how things are going by how many holes do I think I could play the next day. I woke up Tuesday morning after the Ballyneal hike and played a quick nine holes, as I found that getting up and getting moving helps with the recovery process. I told Brandon that I could probably play 100 holes that next day, but it wouldn't be pretty. Maybe back-to-back 100's is an idea for a future year. Months ago, Brandon agreed to accompany me to Roscommon, Michigan to help out with the hike at Forest Dunes, proving once again what a great supporter of the hike and true friend he is (kudos also to my lifelong buddy Jimbo, who also made the trek to help out). Primarily, I think he was really excited to see Doak's new reversible course. Secondarily, he'd get the chance to meet golf luminaries and social media mavens Matt Ginella and Ashley Mayo, who along with Doak rounded out the featured foursome. Also, like Jerry Seinfeld's bit about the Best Man in the wedding, he could easily step up and finish out the 100 if I collapsed and died somewhere on the 8th fairway (it's okay, I would've wanted them to go on). - As mentioned, these were some of the very first rounds on the Loop, the first course of its kind. A reversible golf course? I tried to explain this concept to the some of the caddies at Ballyneal and they couldn't compute what I was telling them. I had seen it last year and it still didn't make much sense to me. Heck, three weeks after playing it three times each way and I still can't quite wrap my head around it. But in the end, I think that's a good thing. 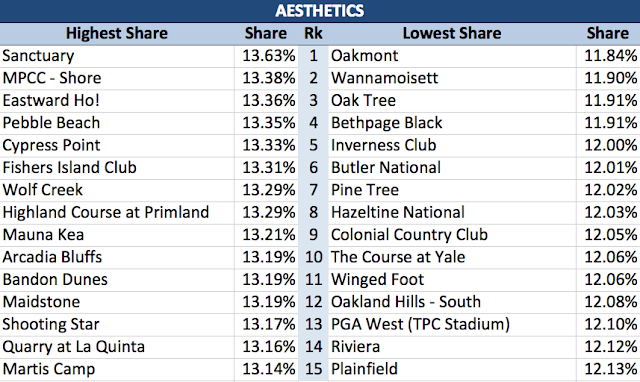 I've come to the realization that great golf courses are the ones that reveal themselves over time. Course that you have to play and want to play multiply times to unlock their mysteries. The Old Course at St. Andrews is probably the perfect example of this (I often say The Old Course is probably the greatest golf course in the world, I'm just not smart enough to have figured it out yet). 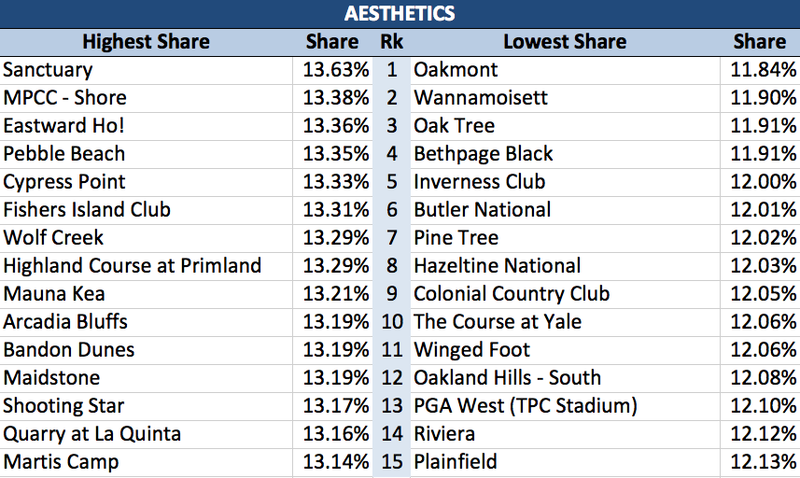 Speaking of the Old Course, eras of golf course architecture can be plotted on a timeline that is defined by truly ground breaking golf courses. St. Andrews. 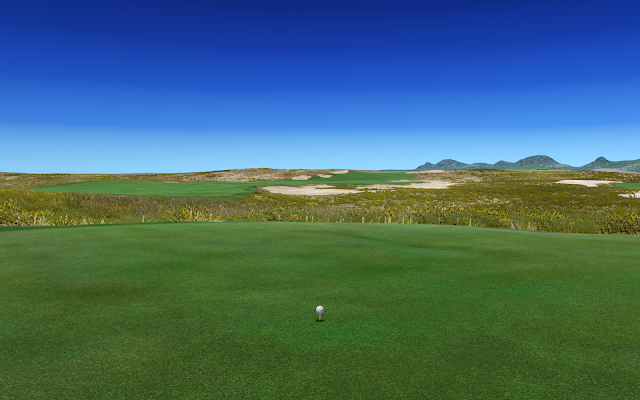 Cypress Point. Pinehurst. More recently: Harbour Town, TPC Sawgrass and Sand Hills. I think you can add The Loop at Forest Dunes to that list. It seems to me that people will study the intricacies and nuances of The Loop for years to come. 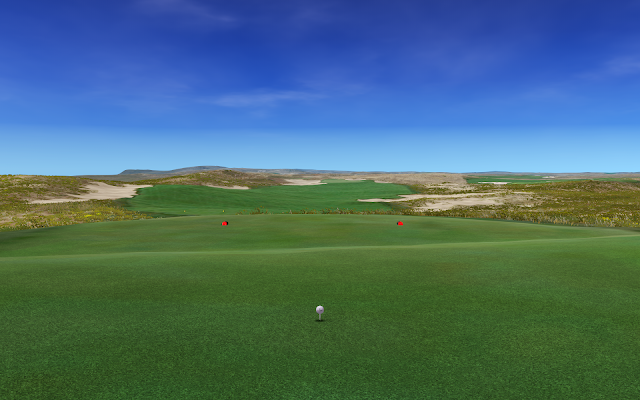 I don't know if it was start a wave of reversible golf courses, but I imagine we will see others attempts crop up over time. And similar questions that Doak faced during construction - about how to make it work, what kind of land suits best, what types of holes work well and don't work so well, how to arrange hazard and greens to work both directions, etc. will be asked and new answers may arise. 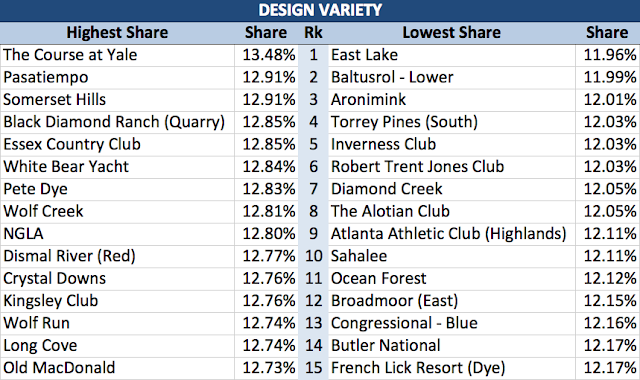 As somebody interested in the design and strategy of golf course architecture, I'm excited to see what happens. 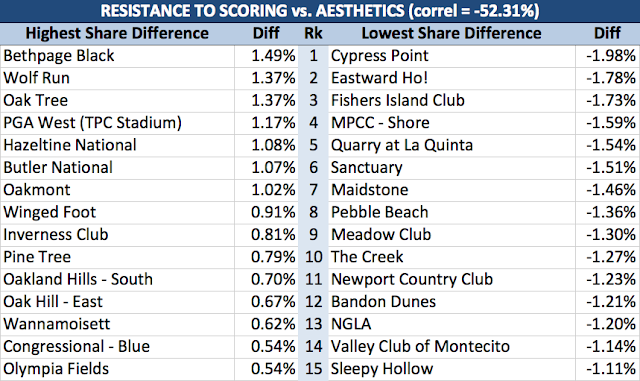 We didn't really push the envelope in terms of pace and holes played. We started at 5:30 AM and the plan was to play 108 holes -- three times in each direction. And we were playing an alternate shot format where mixed up the pairings and played match play matches throughout. 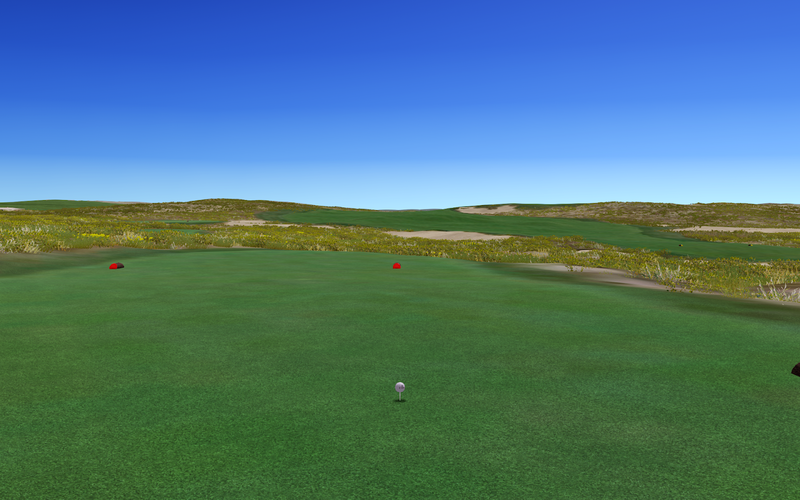 Alt-shot can really go fast if you forge ahead while your partner is teeing off or hitting. However, most of us gave up on that fairly early on as well. I have to admit, it was a bit of an adjustment for Brandon and me, as we were hard-wired to play as fast and as much as humanly possible. But the breaks did allow for some pretty epic photo journals of the day from Ginella and Mayo. 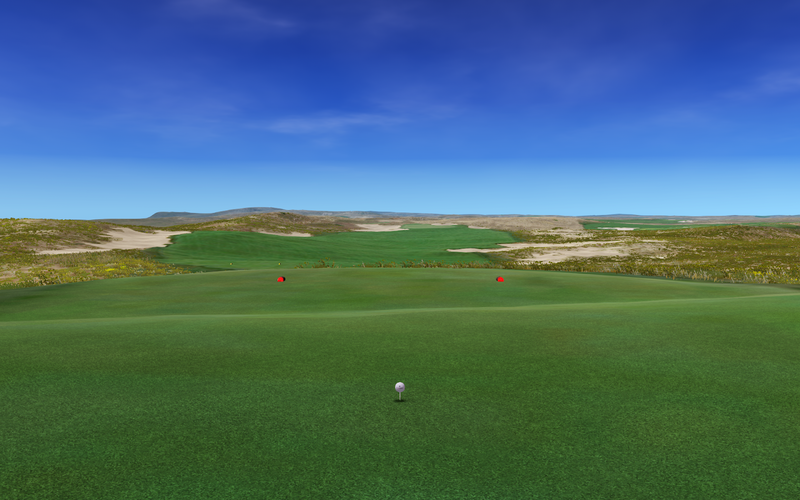 - Not only were we playing some of the first few rounds on this groundbreaking course, these were Doak's first full rounds on the Loop ever. It was very cool to be a part of him playing and observing the full course for the first time, and if my statement on the design timeline is correct, is something I'll likely be telling my grandkids about someday. 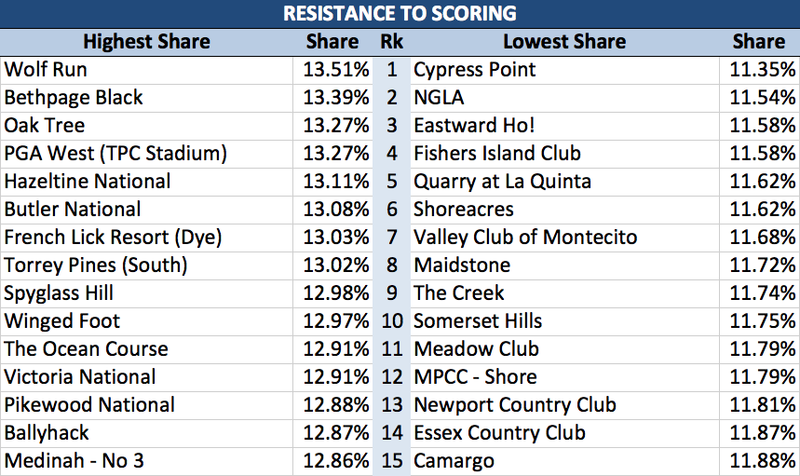 At one point, we thought the 77 on Red with Ashley and 79 on Black with Nia were the course records in both directions, but it turned out somebody did shoot 75 on Red earlier. But the 79 with Nia was in fact the course record, although it's likely been broken by now. It was a fun while it lasted. It's worth noting that this is only the second time that I've held a course record. The other one is for once missing every fairway at Ballyneal. Sadly, going 0-for-14 is one that will truly never be broken. - As I alluded to, in Round 3 we were joined by three alumni from the Midnight Golf Program, the charitable cause that we all were raising money for. I had Nia, Tom paired with Yvette and Matty G paired with Shelby. Ashley played her own ball. All three were obviously very good players, Yvette is current playing on the golf team at Ohio Valley University in West Virginia. It was a little difficult trying to get them out of their traditional pre-shot routines, and Jimbo had to have a heart-to-heart caddie-to-player talk with Yvette about the weight of her bag, but aside from that the highlight of the day getting to spend time with them on the course and learn more about the program and what it meant to them. 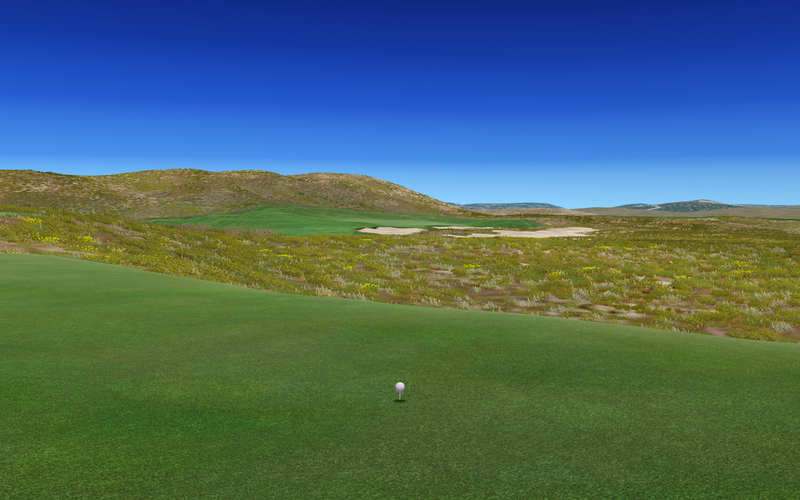 - Ginella said early on that in his experience with the hike (he did one in 2012), that over the course of the day, you'll like your playing partners at the start, hate them at some point and then love them by the end. I have to say there wasn't much hate at all, from what I could tell, as we collectively just enjoyed the day and the fun of playing this special new golf course for a great cause. There were a ton of laughs throughout the day and a lot of smiles and hugs as we finished around 9:00 PM. Thanks so much for your time and support of the hike. 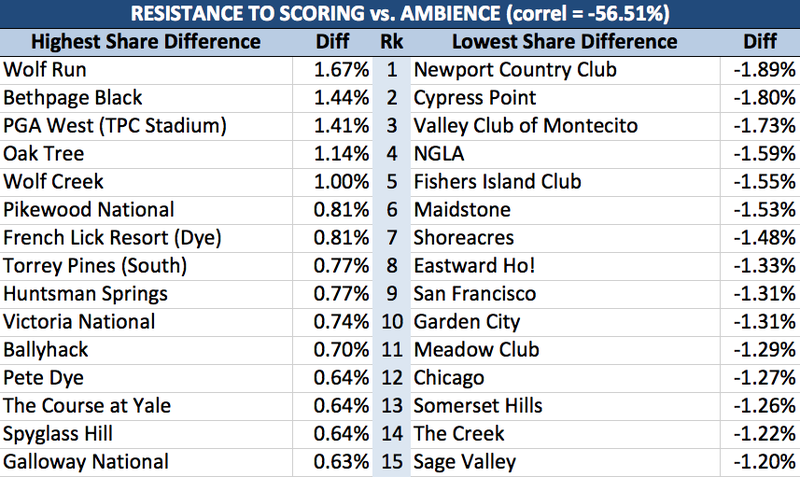 As always, if you're interested in actively participating in the hike next year, please email me at jim@onedivot.org. We have big ideas for next year and beyond and would like to keep expanding the number of golfers involved and charitable causes that are impacted. One of golf's most unique fundraising events will be held at perhaps the most revolutionary new golf course in years when the Hundred Hole Hike comes to The Loop at Forest Dunes on Monday, June 23rd. The Loop, designed by Tom Doak, will be the only fully reversible 18-hole golf course operating in the world when it opens to the public on June 27th. The Hundred Hole Hike will raise money and awareness for the Midnight Golf Program, which brings personal and professional development to youths in inner-city Detroit through the game of golf. The Loop is reversible in that it can be played in both a clockwise and counter-clockwise direction. 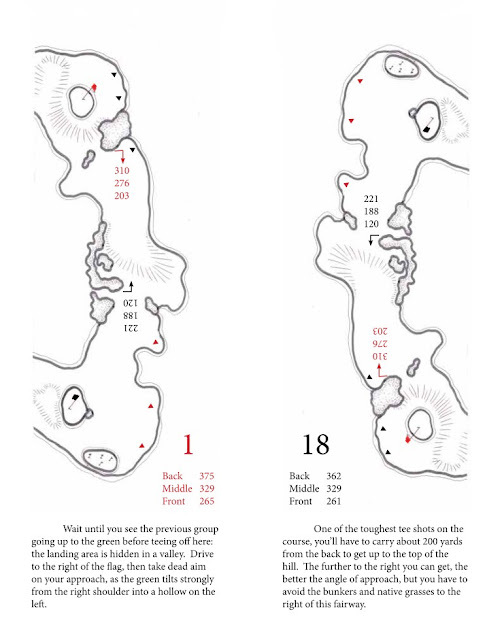 An excerpt from the yardage book below illustrates how one fairway serves the 1st hole on the Red layout and the 18th hole on the Black layout. 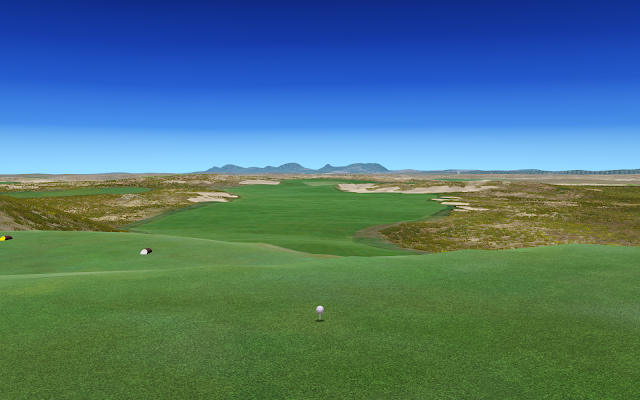 Both routings share the same 18th green (attacked from different directions), but the 1st green on the Red layout serves as the 17th green for the Black layout, and vice-versa. Typically, the Loop will operate with play flowing in one direction one day and the other direction the next, allowing visiting golfers to experience two different courses on consecutive days. The event will feature a mix of individual stroke play and alternate shot play, where select Midnight Golf Program supporters, program participants and other donors will partner with members of the foursome above for sets of 36-hole loops. To learn more about the format or to inquire about the possibility of participating in the event, please contact Jim Colton at jim@onedivot.org. As mentioned, all proceeds from the Hundred Hole Hike event at the Loop will go directly to the Midnight Golf Program (MGP). MGP is a 30-week empowerment and mentoring experience that teaches life skills including financial literacy, college preparation and community activism, as well as learning to play golf. The program meets twice weekly at Marygrove College in Detroit, at a practice facility and four-hole short course designed by Doak. Life skills and golf skills are taught by numerous adults who volunteer their time and serve as mentors for the program participants. Since 2001, nearly 800 participants have gone on to study at 90 different colleges and universities. 2. Pledge - support any of the four golfers on a per hole or lump sum basis, with special bonuses for birdies, eagles and hole-in-ones. Please click one of the buttons below. 3. Sponsor - Sponsorship opportunities are available for the event at the Loop and for the Hundred Hole Hike in general. Please contact Jim Colton at jim@onedivot.org for more information. 4. Volunteer - Please consider caddying or helping out in other ways on June 23rd. Please contact Jim Colton at jim@onedivot.org for more information. 5. Share - Please help spread the word by sharing this page on social media and by following @100holehike on Twitter.